We’d love your help. 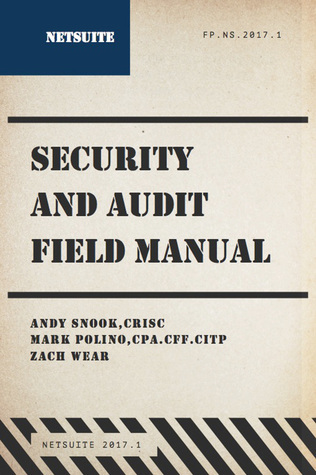 Let us know what’s wrong with this preview of NetSuite Security & Audit Field Manual - 2017.1 by Andy Snook. This is a book about NetSuite security written to help users, administrators, and auditors better understand how to plan, implement, and audit For many companies, NetSuite is the core of their financial management system, and protecting against fraud, misstatements, and errors is a critical component of running NetSuite. Sometimes though, it’s hard to know where to start. Published July 25th 2017 by Fastpath, Inc.
To ask other readers questions about NetSuite Security & Audit Field Manual - 2017.1, please sign up.